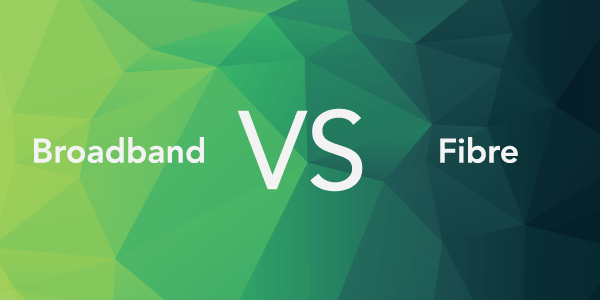 The battle of Broadband and Fibre, who will win? Ten years ago, 6 out of 10 households had access to the internet, fast forward to now and an incredible 9 out of 10 of us now have access to a world of online shopping, gaming and downloading. It's what it says on the tin. Fibre is made up of fibre optic lines which run all the way from your local exchange to your local street cabinet, this then connects to your home by copper phones lines. It's a lot faster than ADSL because it's especially designed to support internet data traffic, and you'll get a much more reliable connection to boot. If you're in a house where you use alot of internet data, then this is for you. If you're wanting the best, then Superfast Fibre is top dog. To be considered Superfast, broadband needs to be at least 30Mbps. This type of broadband is delivered by a cable or fibre optic network which is usually made up of glass and plastic, which means data can move much quicker compared to copper lines which are used for ADSL. This is perfect for people and families who use multiple devices at the same time such as mobiles, laptops and iPads. Want to stream the night away on Netflix and iPlayer? Want to get your game on with all your friends online? Superfast Fibre is the way to go. If you're the type of person who uses the internet for the simple things in life, such as emailing and browsing websites every now and then, then ADSL is the perfect package for you. Take a look at our Origin Broadband and Line Rental with an average 11 Mbps download and a 1Mbps average upload, it's an absolute steal for just £18.00 per month and it comes with free setup! If you're playing Fortnite nonstop, have kids who won't get off Youtube or you watch three hours of cat videos in secret every night (don't worry we won't tell...), then this is the package for you. Our Fibre Max and Line Rental is only £28.00 with unlimited downloads, an average speed of 63Mbps, an upload of 17Mbp and no setup fee, what's not to love? Our call tariffs are changing. Black Friday Sale from only £16 a month!